Are you suffering from daily fever? Are you gaining unknown weight every week? Are you worried how will you survive with multiple health issues in old age? Well, Hindustan Wellness is the one-stop solution to your healthcare needs. The facility has its own NABL lab, has a spectrum of healthcare professionals, diet counselors and experts for daily medical counseling to prevent disease which is existing or might occur in future. We all have heard this quote many times in our lives. This truth has led to the boom in the healthcare industry. Presently, the city is bombarded with various preventive health care facilities which specialize in offering preventive health packages across the globe. One of the oldest names in the industry is Hindustan Wellness. As the name suggests, the healthcare facility has been designed to ensure the wellness of individuals across the country. Hindustan Wellness, nestled within the boundaries of Delhi/NCR has its own NABL lab and highly experienced medical professionals in Delhi offering health checkups, who have been appointed basis on their specialization and the reputable institutes they have pursued their study from. When the thought of health prevention came into existence, Hindustan Wellness evolved as the sole solution that offers health checkups in Delhi NCR. Indeed, the name has left a benchmark with its awe-inspiring infrastructure and a wide array of preventive health care packages made affordable for everyone. There are a total of 2800+ tests that are available at the preventive lab. As mentioned, Hindustan Wellness has not left a scope for any test, it also offers a spectrum of health packages through which people can benefit completely. For instance, if one finds his or her health bad or poor most of the times, a full-body health checkup covers 72 tests from Complete Blood Count, Urine Profile, Kidney Profile, Lipid Profile, Bone Health Profile, Diabetes Profile, Anemia, and more. Sounds too much? Such tests are available at as low as Rs. 999. Likewise, one can go for Master Wellness checkups, Maxima Elder Wellness, Maxima Wellness and more at highly affordable rates starting from Rs.999. One of the reasons why anyone should knock the door of Hindustan Wellness is its efficient way of conducting tests. The lab experts take the sample tests from people at the comfort of their home along with the time they prefer. Moreover, accurate reports are generated and delivered within a daytime. 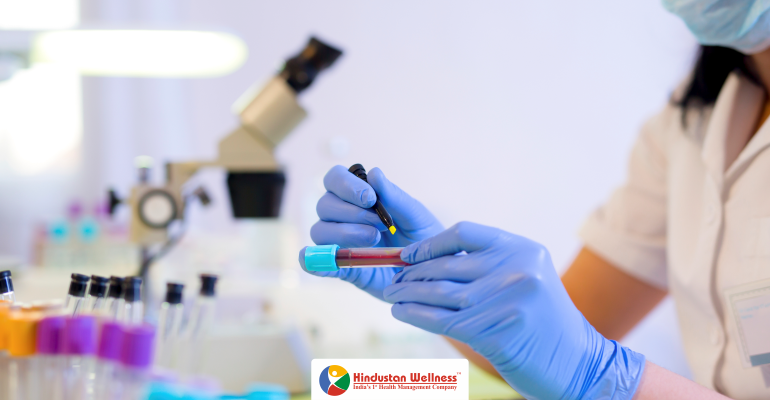 Today, Hindustan Wellness has been successful in making 150,000 happy customers with 6,000000 lab tests done. Not just this, to date the facility has already given over 150,000 diet counseling to people suffering from overweight or underweight issues. When one is satisfied with the test, the consultation and all the related procedures of a preventive checkup, he or she is able to feel at ease. Hindustan Wellness has been designed to meet the health needs of all kinds of individuals and when it comes to the elderly, the lab is indeed a peace-giving platform. Everything can be done from the comfort of home and what more? A healthy life can be maintained without any worry. The best part about Hindustan Wellness is its goal to prevent diseases from getting aggravated and help people lead a healthy lifestyle. The facility also works to enlighten people how hefty the cost of a small disease can turn later if it is not prevented before or on time. This is why this diagnostic center in Delhi offers health packages which are affordable and help people save a lot of money. The ISO-certified healthcare facility has its own NABL lab that further promises people are getting the best version of their health prevention. NextWhat is Fasting Before A Blood Test?